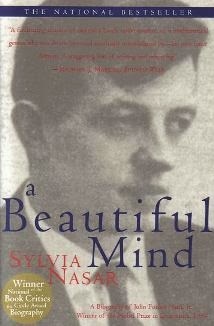 The movie 'A beautiful mind' was inspired by John Nash, the brilliant mathematician who died May 23, 2015 in a car crash with Progressed Sun square his Saturn, to signal a period ending. The movie is about the period just before he was taken to hospital after being diagnosed with schizophrenia. It took 30 years to be able to live in society again. Here is the chart with transits and progressions for February 1958, when he entered hospital. This is highlighting Uranus and Pluto, and signaling stressed nerves, but also Jupiter and Pluto (successes) and the issue of being different (Lillith and Uranus). The Astro ID gives all the keys. 1. Saturn was in the 6th house of illnesses, inconjunct the midpoint Ascendant/Midheaven. In the natal chart, this midpoint is conjunct Chiron, showing the crucial importance of healing. Inconjunctions (quincunxes) are frequent in moments of illnesses or when balance is lost (perhaps due to having to give up on something or someone). 2. Transit Uranus is square Ascendant/MC (and Chiron) and transit Pluto is inconjunct MC, so that both of the most highlighted natal planets take part. It was a time of extreme intensity, with a risk for the position in society, too. This is a combination for resistance, too. The fact Saturn and Uranus are in hard aspect with AC/MC at the same time illustrates the issue of 'breaking free or limited freedom'. 4. Progressed Lillith was conjunct Midheaven. It is because someone asked me to have a look at Lillith, too, that I included Lillith in the chart and in this case Lillith is very important. Lilith is inconjunct Moon, conjunct MC and opposite Sun/Moon. That makes it hard to be 'normal', especially since Uranus is semi square Sun/Moon, too. A genius is always a bit 'different' and so was John Nash. Uranus and Lillith seem to indicate this.